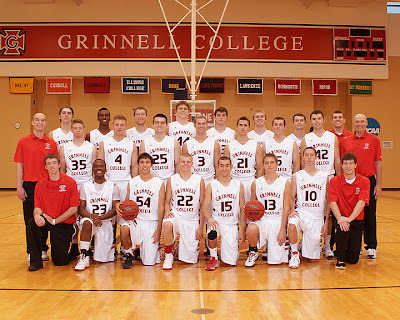 Grinnell College is a private liberal arts college in Grinnell, Iowa, U.S. known for its strong tradition of social activism. It was founded in 1846, when a group of pioneer New England Congregationalists established the Trustees of Iowa College. If you know what New England Congregationalists are, good for you. Their basketball team is coached by Dave Arseneault who some call a “mad-scientist coach” as a result of some of his unusual ideas about Dr. Naismith’s game. Like hockey, players are in the game in “shifts” for 35 second or until the next stoppage of play, and if you cross half court, you better be looking for a three point shot. “The System,” as Arseneault’s father dubbed it when he coached Grinnell, seems to work as Grinnell led DIII in scoring averaging (110.09 points per game) while also being #1 out of 405 schools in three-pointers made (18.4 per game), assists (20.3) and turnover margins (+12.2). It was the 17th time in the past 19 years the Pioneers led DIII in scoring. But that’s not the fun part. Coach Areneault doesn’t scout the opposition and starts practice with each coach shooting 100 three-pointers. No practice is longer than 75 minutes. Grinnell runs a full-court press on defense and after a made basket the point guard takes a running-start before he catches the in-bounds pass. The offense then has 12 seconds to engineer a shot. A few days before this season’s opener against Princpia College he asked his team, “Why don’t we let Griffin (Lentsch) take all the shots?” The team said OK, and the 6’4” junior scored 89 points in a 145-97 win. 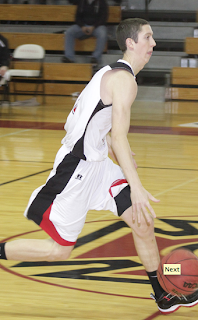 Needless to say, it was a record -- that eclipsed the record 77 set by another Grinnell sharp-shooter. Lentsch finished 27-of-55 from the field, including 15-of-33 from three-point land. The 15 treys rank ninth best in all of NCAA. 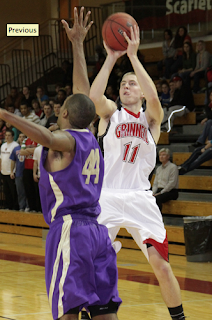 He was also an amazing 20-of-22 from the free throw line, with the made number of free throws a Grinnell record. 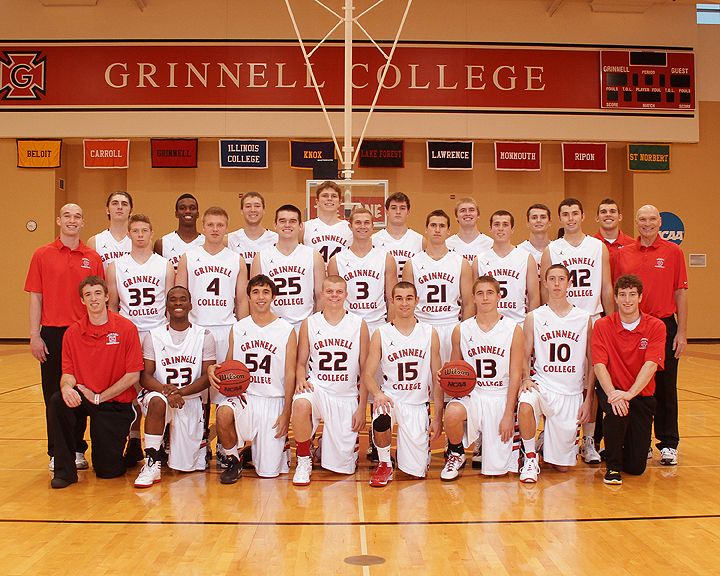 The Pioneers finished the season 18-6 when they were knocked out of the Midwest Conference tournament. In that game, they scored a season low 83 points (after scoring 125 or more six times this season) and made just 13 of 62 shots from behind the arc. “When it works, it’s beautiful. When it doesn’t...it’s a long night,” said the “mad scientist” after the season-ending loss.